Having premiered Jan. 5, season four of the highly acclaimed Masterpiece Classic is attracting well-deserved media attention. Being hailed as “An instant classic” by the New York Times and “Impossible to resist” for the writers of the Wall Street Journal, “Downton Abbey” has crept into our living rooms and into our hearts. The period piece details the lives that reside inside Downton Abbey, the titular setting of the Emmy award-winning drama. The interior lends itself to associations akin to quintessential aristocratic superiority, with lavish drawing rooms filled with antiques. The central subject of the show is the divide in class structure, which is a conclusive indicator of the time period. In the great house, who is below the stairs and who resides above is an easy metaphor to interpret. While the period drama is conservative, it remains current and relatable due to its fast pace and common themes. Jealousy, scandal, revenge, pride, tradition, and tragedy run rampant throughout the house. The series begins in the year 1912 at the Crawley Estate, an Edwardian-style country home in Yorkshire. Lord of the estate is Robert, the Earl of Grantham (Hugh Bonneville), and his American wife Cora (Elizabeth McGovern). The Dowager Countess, played by the revered Maggie Smith, possesses a razor-sharp wit and is a pure delight. Their three daughters, the cold-hearted Lady Mary, the easily overlooked Lady Edith, and the open-minded Lady Sybill, enjoy their lives of luxury despite the social constrictions of the period. The estate is in uproar in the aftermath of the sinking of the Titanic, as among the lives lost to the sea was the current heir and fiancée to Lady Mary. Scrambling to acquire a replacement heir, as females are not allowed to inherit, Cousin Matthew Crawley and his mother, Isobel, arrive on the scene to stir up trouble for the grandiose Crawley family. With stodgy, matronly uniforms for the women and clean-cut debonair styles for the male servers, it is clear which roles in the household carry the most weight. Likewise, there is also drama and intrigue in the lives of the servants. A tumultuous relationship springs up between Mary and Matthew. The arrival of a new footman for His Lordship causes controversy as the man introduced, John Bates, is crippled. He quickly strikes up a romance with the head housemaid, Anna, though he is not well-received by every servant. The villains of the downstairs, O’Brian and Thomas, are conniving and treacherous allies who attempt to bribe, extort, and propagate their way to the top of their social circle as the season progresses. The estate may be falling steadily into disrepair, but fresh drama continues to heat up for the Crawley family. As Season Two kicks off, the War in Europe is shown in full swing as the initial shot is of the battle in the trenches. The vivid realism is then contrasted with the grandeur of Downton Abbey, which in comparison appears to be unaffected by the bloodshed. That is, until the season progresses. War time affects and hardens the already stiff upper lips of the Crawley Estate, threatening relationships and the lives of its inhabitants as the storm of war takes its toll. Lady Mary and Matthew’s relationship is thwarted by his engagement to another woman, Olivia Swire. Meanwhile, Edith pursues an older gentleman with disastrous results and Sybill joins the workforce. Season Three starts thrillingly with a long-awaited marriage and disappointments as Downton is found to be nearly bankrupt at the end of the war. 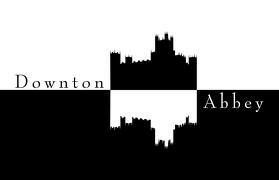 Luckily, Cousin Matthew has a secret that may be the key to saving the future of Downton Abbey. This season, even more turmoil awaits the Crawley family. New characters burst stereotypes and preconceived notions in the house, and the family attempts recovery after an egregious loss. This Sunday night, I entreat you to put the kettle on, grab a cup of tea, and tune into the critically acclaimed show airing in America on PBS stations.